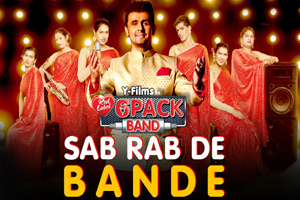 A pop song sung by Sonu Nigam, 6 Pack Band featuring them in song video. The video of this song is available on YouTube at the official channel YFilms. This video is of 5 minutes 19 seconds duration. Lyrics of "Sab Rab De Bande"
Lyrics in Hindi (Unicode) of "सब रब दे बन्दे"